Our plastic-covered greenhouse is easy to install. We can easily make spans as wide as required to make each area easy to use. Our arches are specially designed to accommodate insulated panels as well – warm in the winter, cool in the summer. Our Freestanding Greenhouses have straight sides for more useable space. Our Freestanding Greenhouses can have a clear span or arch ties to hang irrigation or crops. We can add acrylic to any roof with our specially designed glazing system. Westland Greenhouse Solutions can make your project easy. Westland Greenhouse Solutions Inc. manufactures our own greenhouse. This has been designed from Gerard VanZanten’s extensive experience both tearing down and building greenhouses. Any frustrations builders have had in the past have been addressed to make sure your greenhouse is built on-time and on-budget. 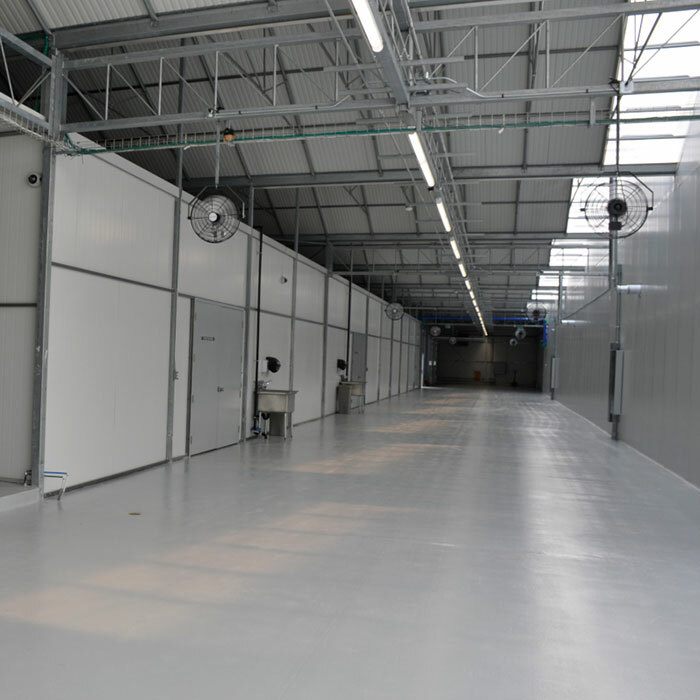 We offer open work-space structures up to 48’ and beyond. Westland Greenhouse Solutions Inc. manufactures our own greenhouse, which can be adapted to Acrylic glazing. We can also adapt an existing greenhouse to an acrylic roof with our specially designed glazing system. Acrylic can increase the light penetration compared to plastic, and increase insulation compared to glass. 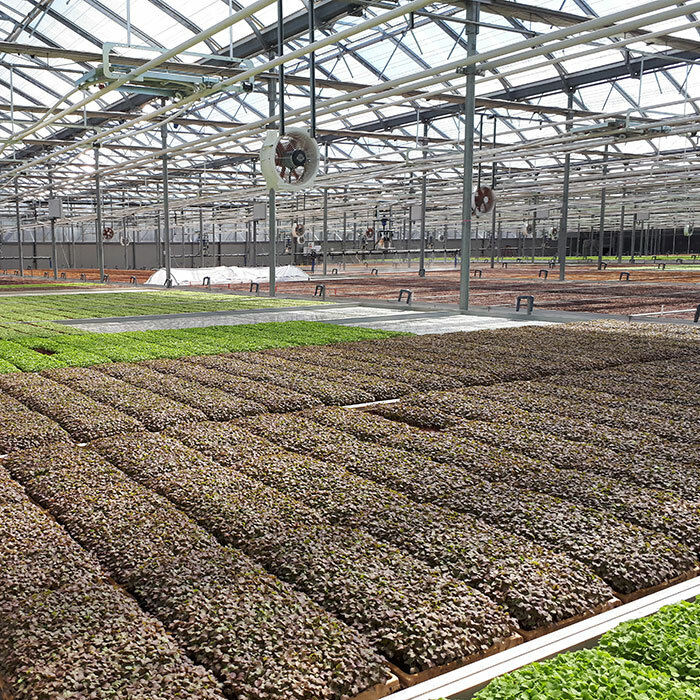 Acrylic is a premium glazing material that may be just the solution you need for the high quality of crop you are looking to grow in your greenhouse. As with our poly covered structures, we offer open work-space structures up to 48’ and beyond. 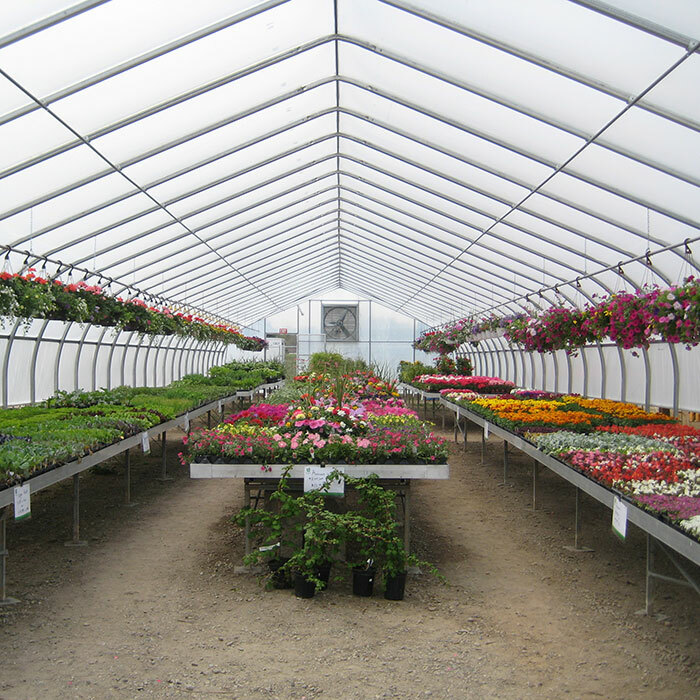 Westland Greenhouse Solutions Inc. manufactures our own greenhouse, which can be covered with Steel Insulated Panels to create a cool, sealed environment for your processing and warehousing needs. We offer open work-space structures up to 48’ and beyond to allow for free movement of people and equipment, with nothing structure in the way. Steel insulated panels can also be used as an outside wall to complement your blackout and insulation needs to protect your crop. Westland Greenhouse Solutions Inc. offers the most popular type of glass greenhouse available worldwide, a dutch venlo-style greenhouse. 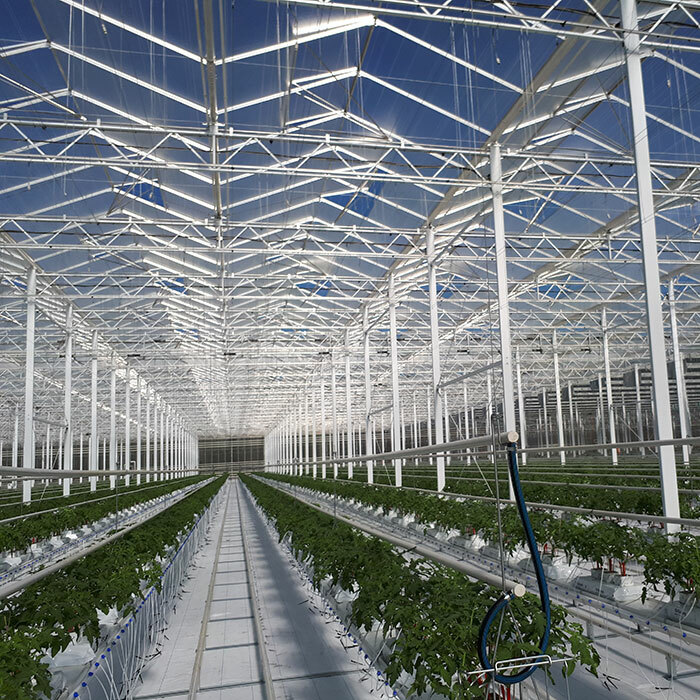 Our partnerships around the world allow us access to world-class greenhouse roofs, and coupled with our manufacturing capabilities we can offer a greenhouse solution that will fit all of your structural requirements. Our Freestanding Greenhouses are manufactured to withstand any weather conditions you may encounter. Based on your location, we can design a structure to handle almost any wind or snow load. Our Structure is manufactured in Southern Ontario, Canada and is customizable, offered in many widths/lengths, with multiple options to suit your requirements. In our structure, you will see straighter post on the sides, higher than most of our competitors, allowing you to use a higher percentage of the area of your greenhouse. 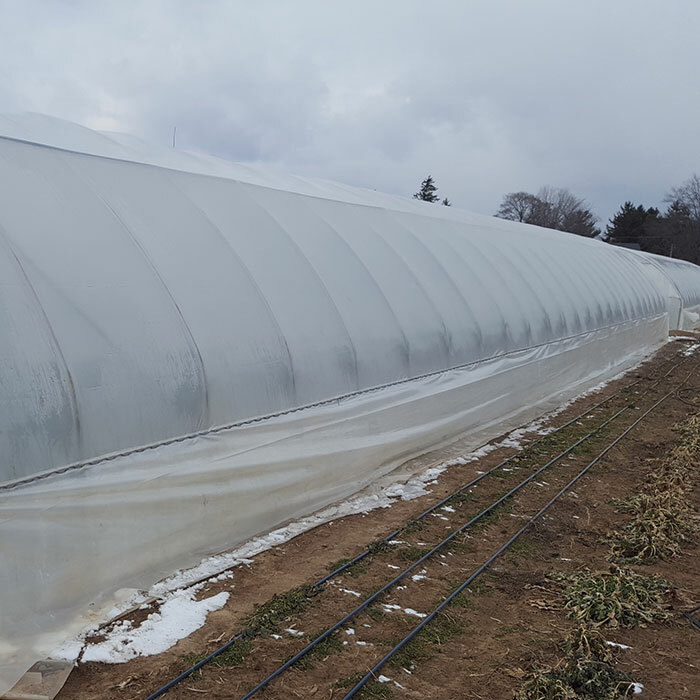 Protecting your crop in the cold winter months is essential to you success, and Westland Greenhouse Solutions Inc. can help. Our Cold Tunnels are manufactured in Southern Ontario, Canada, and are available in 18 ft and 20 ft widths, in any length you require. This is a simple structure to allow you a cost-effective solution to safely protect your crop.